Stay connected to family and friends no matter the distance from one of 40 public computers available for you to use. Each computer has Microsoft Office installed so you can take care of homework or create your resume. Printing is supported from all of our computers for a nominal charge per page. USB drives and headphones are available for purchase at the circulation desk. 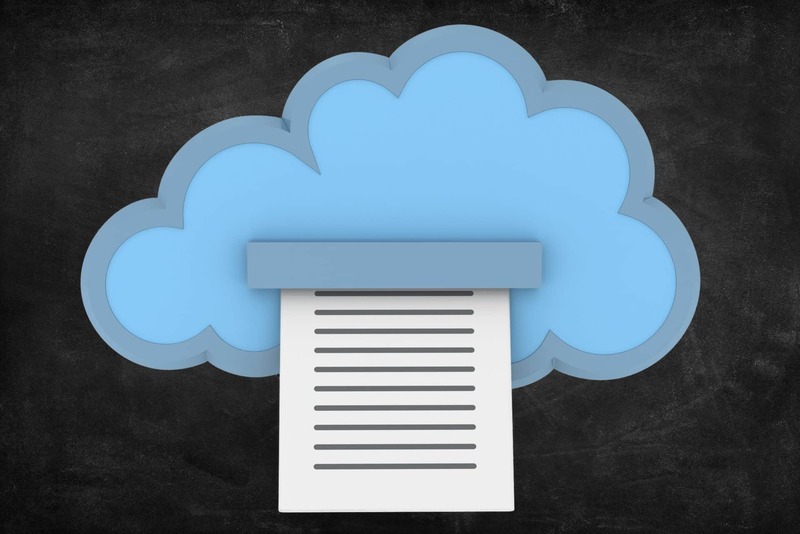 Use our mobile print service to print from anywhere. Send documents from home or inside the library using your personal computer or mobile device, and pick them up at the circulation desk. It’s fast, convenient, and easy! 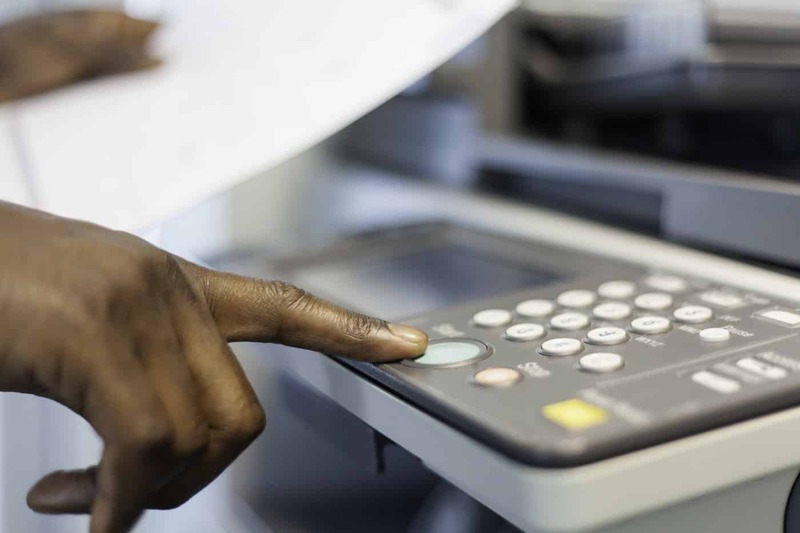 Whether you have a document that you need copied, scanned or faxed, we can help. Our copy machine, like our printers, may only print in black and white but has the ability to to do full color scans to a thumb drive at no cost. Printing is 15¢ per black and white page and $1 per color page. Copying is 15¢ per page (black and white only). Thumb drives are available for purchase at the circulation desk. 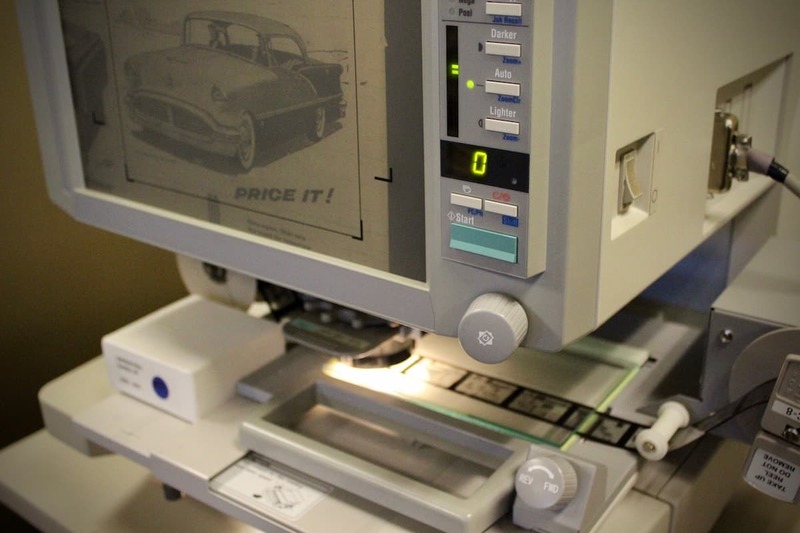 In our Kentucky Room, you have access to our microfilm/microfiche viewer. The viewer is directly connected to a computer so you can print the pages you want (for a nominal fee). Do you have to give occasional presentations or share your ideas in a BIG way? We’ve got the equipment you need to make your presentation a success. It’s all available for check out, but be sure to reserve in advance so it’s ready when you are. 3200 ANSI lumens with HDMI, VGA, RCA, and S-Video inputs. 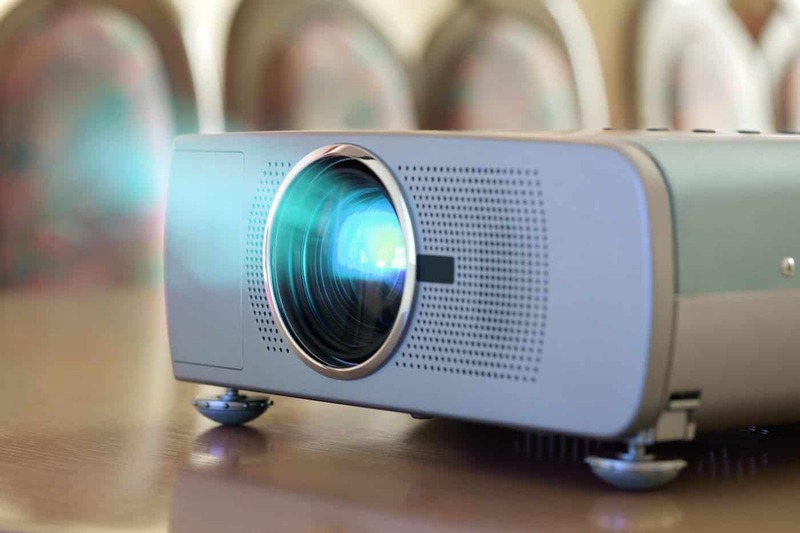 A $100 deposit is required at the time of check out and is fully refunded if the projector is returned without damage. Available for check out in 5′ x 5′ size. Great for teaching and for projecting artwork onto walls to be traced. 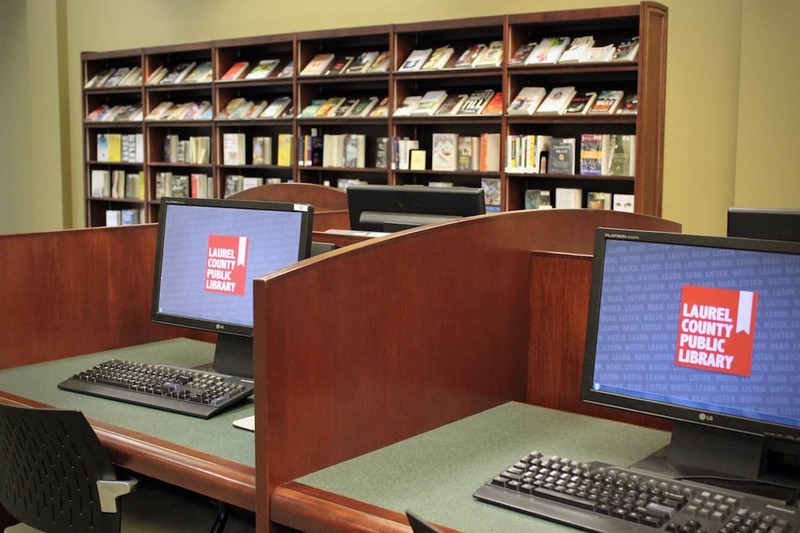 Bring your laptop, tablet, or phone and take advantage of our high-speed wireless internet. 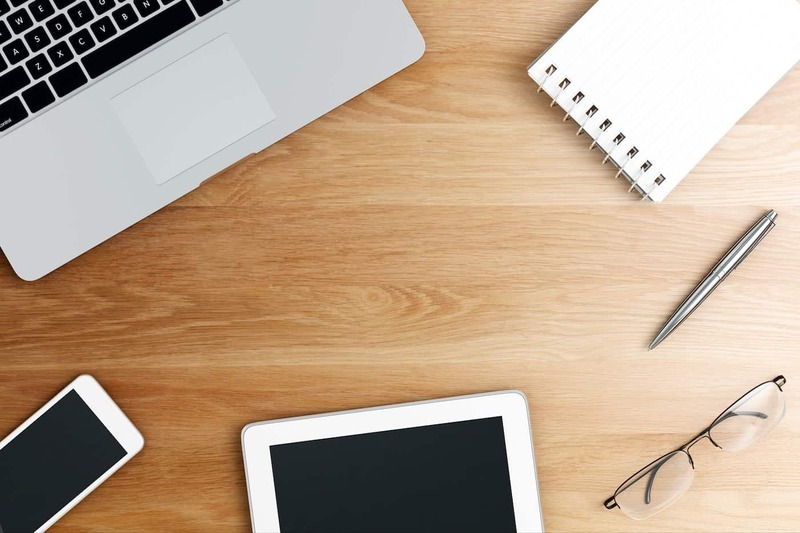 Coverage for our internet access extends throughout the building (including the Community Room and study rooms) and even outside into the garden area. You can stay connected wherever you decide to work or relax!